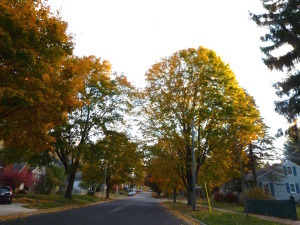 Listed below are homes for sale in Sunset Village, a neighborhood located in Near West Madison, WI. Listings are updated multiple times a day from the SCWMLS. For more information about any of these Sunset Village homes for sale, just click the "Request More Information" button when viewing the details of a property. We can provide you with disclosures, past sales history, dates and prices of homes recently sold nearby in Madison, and more. Panoramic views of the rolling landscapes of Madison’s west side are everywhere you look in Sunset Village. One stroll through Sunset Village’s tree-lined streets explains why it’s known for its cozy atmosphere and warm, welcoming neighbors. Green space and parks abound in and around the community for long walks, brisk jogs or cross-country skiing. 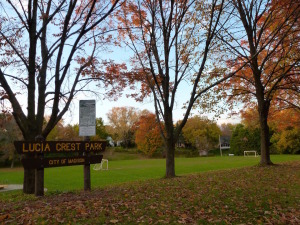 The savannas and prairies of Quarry Park, Hoyt Park, Owen Conservation Park and Lucia Crest Park are popular destinations for neighbors to unwind. And don’t forget to pause to breathe in the serene views of Madison’s west side from scenic overlooks along the way. An engaged and active community of neighbors elevates Sunset Village’s quality of living even more. Ice cream socials, potluck dinners, holiday parties, movies in the park and the annual neighborhood picnic promise smiling faces and a warm welcome for new homeowners in Sunset Village. Most of the houses in Sunset Village were built in the 1940s. Post-war development brought a range of highly functional Cape Cod and Ranch-style homes to the neighborhood. Many of the homes offer two or three bedrooms, which makes Sunset Village popular among first-time homebuyers, young families, retirees and everyone in between. A commercial district runs along the northern border of Sunset Village on University Avenue that provides great shopping and dining options. An up-crop of multi-family and assisted-living units are also located along the neighborhood’s eastern border. Sunset Village is one of the west side’s most functional locations. It’s fewer than four miles from Downtown Madison, which offers easy access to the city’s cultural center. The University of Wisconsin Hospital and the Veterans Hospital are located minutes away along University Avenue, where opportunities also abound for shopping and dining. More retail options can be found about a half-mile away at Hilldale Mall and about five miles away at West Towne Mall. Middleton is also located about five miles north of Sunset Village. 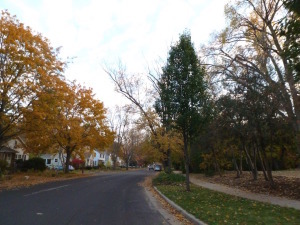 Closer to home, Glenway Golf Course is just southeast of Sunset Village, and Midvale Elementary School is located on Sheboygan Avenue. For information about finding a home in the Sunset Village neighborhood or to sell your Sunset Village home, contact our team for a better real estate experience. 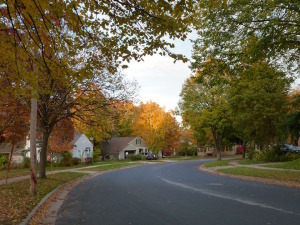 Sunset Village neighborhood is located on the Near West Side of Madison in MLS area Madison – W13. Below are more homes for sale in that area.